Used SnowDogg HD80 commercial 8 ft Snow Plow. 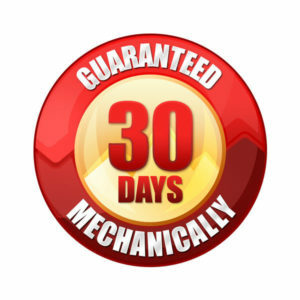 30-Day Guarantee! We’re having an End of Season Liquidation sale, and we’ve drastically reduced prices on select, in-stock snow equipment! While supplies last! $3995 is the regular price. $3745 is the sale price! $3595 is the price after a $150 Instant Cash Discount! Payment would be $89.53/mo on the 3.99% for 54-month plan. Or choose 0% for 6 months and still get the Instant Cash Discount! A homeowner bought this plow for his personal driveway. After it sat in his garage mostly unused for 3 seasons, he sold it to us to get it out of his way! – Blade Width: 96 in. Sells with brand new truck specific mounts and wiring for your application included! We are guaranteeing this plow mechanically for 30 days!!! You can also reach us at (636) 586-9607. 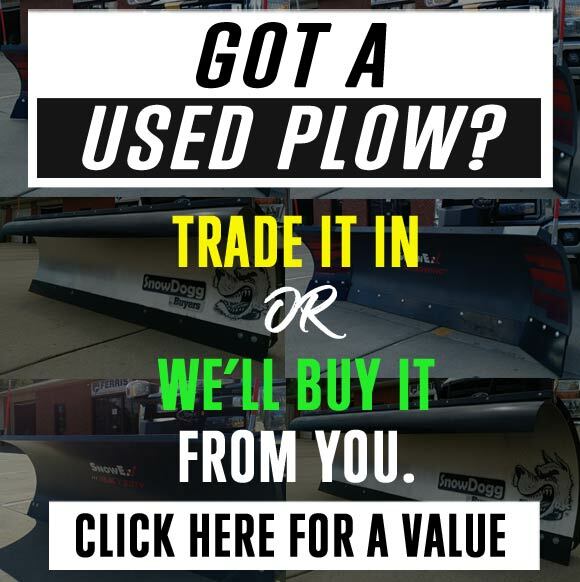 Home / Plows / Used SnowDogg HD80 commercial 8 ft Snow Plow. 30-Day Guarantee! Like New SnowEx 8000HD snow plow. 8′ Warranty! Demo’d SnowEx VX-2200 2.2 YD Spreader! Full Warranty! Used SnowDogg XP810 snow plow. 30-Day Guarantee! Demo’d SnowEx VX-3200 3.2 YD Spreader! 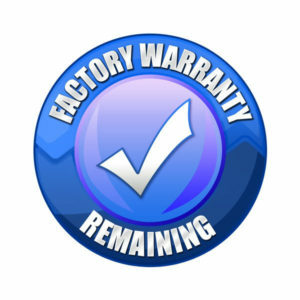 Full Warranty! very friendly personal. loved the choices if the equipment NEW and USED.. made the choice of purchasing a New mower from them very easy and straight forward.. Thank you Guys and Gals. Ben John was awesome! Got us exactly what we wanted at a great price. thank you! Made it super easy to buy my brand new spartan mower! Ben is the man to talk too! Will defiantly get my business in the near future! They were all very friendly and quick!!! Would recommend sending anyone in need of a mower!!! great customer service and very knowledgeable and friendly helpful staff.will definitely be back! great service, sales guy gave information but wasn't pushy about upgrades. highly recommend 👍! Incredible atmosphere and awesome people! Go to Caldwell Outdoor Equipment! Got a great mower today, thanks Ben! We had a great experience purchasing a Big Dog z-turn. Kurt was so helpful and made our purchase easy. Happy we found Caldwells today!! Stopped by today just to look around. Met with Josh,and ended up buying a new Hustler zero turn mower. Everyone was friendly and knowledgeable. Answered all of my questions. We just bought a new Hustler Raptor Limited from Josh at Caldwells in Desoto. Josh our sales associate was awesome. Thank you Josh for assisting us with our new purchase. AMAZING customer service and very knowledgeable of their products. we didn't feel rushed to make a purchase and JC got us in and out quickly. Thank you so much. we found our new home for all our mowing needs! Second mower I’ve purchased here very nice and professional. I found the service and professionalism at the Pevely location to be extremely helpful. I had researched several different zero-turn mowers on the market and truly believe the Hustler line to be the most reasonably priced. I have a fairly large yard (2 plus acres) and wanted a good quality built mower-Hustler exceeded my expectations. Very happy with my purchase and highly impressed with the friendliness and professional attention to my needs. awesome mowers with awesome deals. financing available with low monthly payments. Great customer service and knowledge of their equipment. Josh and the rest of the staff were great to work with! Super company. Great variety of reliable equipment. Great service and parts department too! Great customer service and knowledgeable salesman. Very friendly good experience. Welcome to Pevely! Great advice and prices, strongly recommend them! Worked with Josh and several others for support. Had a great experience buying with no pressure. I appreciated that! Thanks guys! Top of the line business. Staff well knowledgeable of all equipment and very friendly. Will definitely recomend to others!. Great company!! Super easy process and very knowledgeable. Extremely helpful staff. Definitely recommend anyone needing a zero turn to stop by either pevely or desoto location. Very knowledgeable and friendly people. They went above and beyond to get me on my new Big Dog Diablo. I will always one here from now on. great service, prices and people!!! great fast friendly service! would recommend! Great financing options and friendly staff. I found Caldwell’s by seeing some of their equipment posted on Craigslist and decided to make the hour plus drive to their store. This was the best choice because all of the staff were extremely nice. Ben John was the salesmen that ended up helping me with my purchase. He was extremely nice. He let me sit and drive multiple different mowers to see which one best fit me and my needs. I’m sure glad I decided to make the trip to Caldwell’s to make my lawn mower purchase. I would highly recommend them. Great people to work with on buying a new mower !! We saw their ad for used riding lawn equipment on Craigslist. I ended up buying a used riding mower that had been serviced through their shop. It was a great purchase and a great experience. I found my dealer ,Buying made easy. From the start to the finish this is truly the best dealer around. Ben was very professional and helpful going far beyond. I'm 600 miles away and he made it like I was in his office, sending pictures and confirming every detail. Ben took the time to confirmed the shipper that I set up and sent pictures after it was loaded for shipment.Thank you very much this was truly a pleasure. Fast quick and easy! Highly recommend! Just bought a spartan zero turn from Caldwell and couldn’t be happier with the experience and the mower. Thanks! Thanks Caldwell Team, especially Kurt, Ben Jon & Justin Caldwell. All were extremely helpful & knowledgeable in assisting me with my first Zero Turn mower purchase. I was taught how to operate the mower and allowed to test drive as well. I shopped around at many places and Caldwell Outdoor Equipment has the best customer service, hands down. Don't waste your time at the big box stores. Go straight to Caldwell's! Excellent experience dealing with the team at Caldwell on my Spartan ZTR purchase. The staff is great, not pushy at all. They saved me a lot of time with the delivery options as well. Great buying experience!! Fast quick and easy!! Highly recommend!! Just purchased a Big Dog from these wonderful people great service! Highly recommend you pay Caldwell Outdoor Equipment a visit! The selection of mowers was great. Justin, the owner, was extremely helpful and friendly. I would suggest if you’re in the need of a mower go visit Caldwell Outdoor Equipment. I just bought a new Hustler Zero Turn mower and I couldn’t be happier. Staff is super friendly and very knowledgeable. I stopped by and was able to test drive different mowers, the Salesman spent about an hour and a half one on one time with me. Very nice doing business with them. Fast service on a busy saturday morning. Salesmen were easy to contact over the phone. They do not accept personal checks. JC was very informative and knowledgeable during our purchasing experience! Many thanks to you and Dani, whom helped with financing! very good experienced friendly knowledgeable staff.bought a hustler sd. I just purchased a Bigdog mower from JC at Caldwell. I would recommend them to everyone wanting to buy one. The whole place was very friendly and knowledgeable . This is my first zero turn so i was so greatfull JC could lead me in the right direction. They are not pushy and great to deal with. I lile that they dont work on commission. It made the whole deal stress free. The team was great at answering all our questions and even got it delivered quicker that expected. Low price and great customer service. Excellent customer service. Price matched with $100.00 Would do busy with this company again! Great experience and I recommend them for your next mower. They made buying my mower fast and easy. The sales staff was very knowledgeable and professional. We purchased a new Simplicity zero turn yesterday at Caldwell. Absolutely the best customer service from the first initial phone call to the close of the sale. Excellent product at an excellent price. Clean and professional atmosphere. Thank you Kurt and Ben! It was well worth the long drive! Went and visited with Kurt McClure at Caldwell Equipment in Desoto, Mo. We would recommend these guys to the fullest. Explained everything very well, let us test drive a Spartan and fell in love! If your looking to purchase this is the place. No hassles and no disappointments. Thanks Kurt. Outstanding service and unbeatable prices. I own a lawn care business, and this is our one stop shop for commercial lawn equipment. We would not be able to provide the quality of service without a dealer like this! Just wanted to say thanks to John who delivered my mower yesterday and patiently waiting for me while I got back to my house to sign the paperwork. He did a great job explaining the mower. I also wanted to note that JC made my all-over-email purchase very easy! He was very responsive and helpful in making the process painless. "My family has bought lawn equipment two different times from caldwell outdoor equipment and we were very happy both times. The staff was friendly and knowledgable. We will go back for any of our lawn care needs. We highly recommend caldwell outdoor equipment." Drove almost an hour and a half just to buy from these guys! Mark was awesome, easy to work with and knowledgeable! The website was well designed and very helpful. If you are looking for outdoor power equipment give Caldwell outdoor equipment a chance! My husband bought a new mower Friday and couldn't be happier with the service would recommend them to anyone. Super friendly staff! I had a great experience working with Ben at Caldwell Equipment during my purchase of a hustler super z. I live 450 miles away from this store but they got me a far better price than I could get local, worked a deal with me on partial delivery and no sales tax is always a plus! Ben was always easy to get a hold of via phone call or text. Very professional, Mark was very informative and treated me with respect! I would recommend them to any and everyone that is in the market for a lawn machine (mower just isn’t enough) even if it’s a bit of a further drive for you?!? It will certainly be worth your time and money!! I've had issues with many local dealers in the past. Caldwell is 1 hr from me and well worth the trip. It was nice being able to try out 6 different mowers back to back because of the large inventory. Mark was very helpful for me throughout the selection process. I will be doing future business at Caldwell!! I drove over 320 miles one way to buy a hustler zero turn mower that Caldwell had put on craigslist. The salesman Ken was very helpful and comfortable to work with. I was so pleased with my dealings with Ken that I got several of his cards to give friend's that are looking to buy new mowers. I would definitely go back to Caldwell in the future. Don’t even bother checking at another dealer! Just go to Caldwell. I drove 7 hours because of the deal they got me. Thank Ben for your help. It was a great and simple purchase experience! The customer service at Caldwell was outstanding. Daniel and Andrew kept me informed thru my whole purchasing experience and delivered out of state for a very reasonable fee. This is my second mower from Caldwell Equipment. They take care of you!!! JC is great. I have known him since I helped coach him in Baskeball. Great service and great crew to work for. They are willing to go the extra mile to make sure every customer leaves happy. Will be buying my next one through them as well. Can't find the machine that you want? Get an email when used equipment arrives. Unsubscribe anytime. Ok to communicate by text?